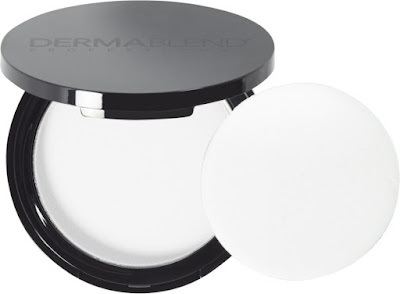 This week I'm obsessed with... Dermablend Compact Setting Powder! Dermablend Compact Setting Powder - $34 - a pressed silky, micronized finishing powder that locks in makeup to keep it from smudging and helping it last up to 16 hours. Unlike some "translucent" powders that can add a whitish cast to the skin or turn orange when applied, this one goes on clear and does an amazing job of mattifying the complexion to leave skin looking flawless. My best recommendation is to chuck the sponge unless you don't wear foundation and are just using it to mattify - if you also want to set your makeup use a big fluffy brush instead, or if using it on the go, a travel brush - otherwise the sponge tends to move your makeup around while applying the powder. Available now at select drugstores across Canada including Shoppers Drug Mart. This sounds really good. I'm always on the look out for translucent face powders. I'll keep my eye out for this at Shoppers.